This painting of pomegranates was the last painting I have done in 2016. 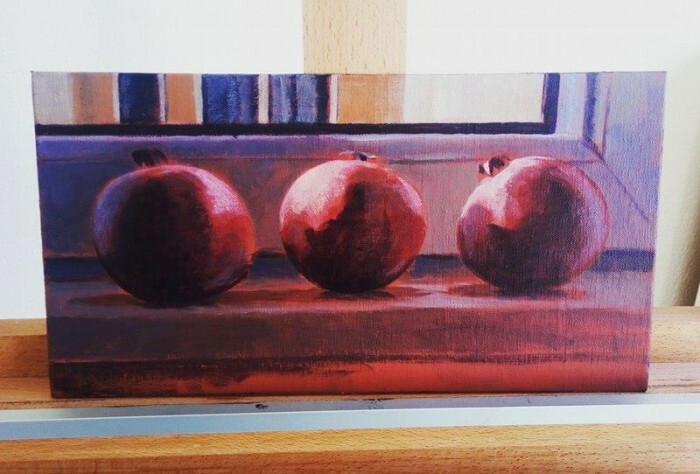 Few months before, I was making another still life paintings of pomegranates, but they were in more traditional set up. This one is a bit different because it wasn’t planned. 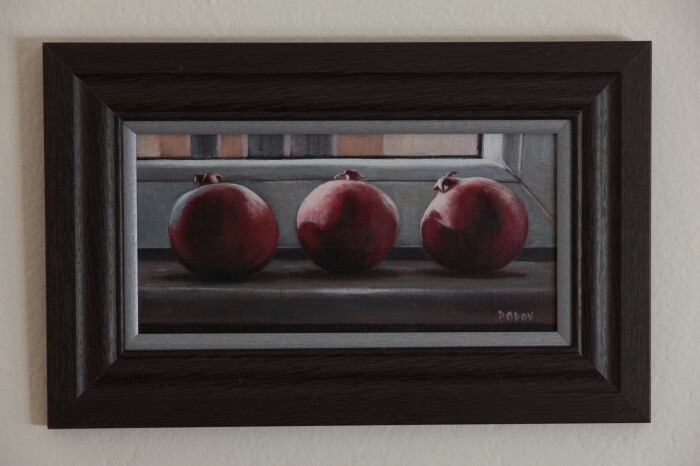 I just moved into my new studio and, among the other things I moved in, I brought these pomegranates and put them on the window. I am quite messy person and that was a place where I was sure I will not lose them, Then, while I had my coffee, the sun reflected them and I knew I had to paint them just like that, without anything added to it, without any make up. 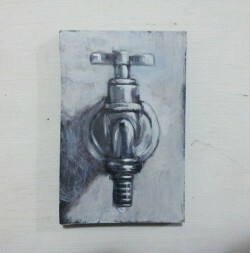 The painting is made with acrylics on canvas mounted on hardboard. 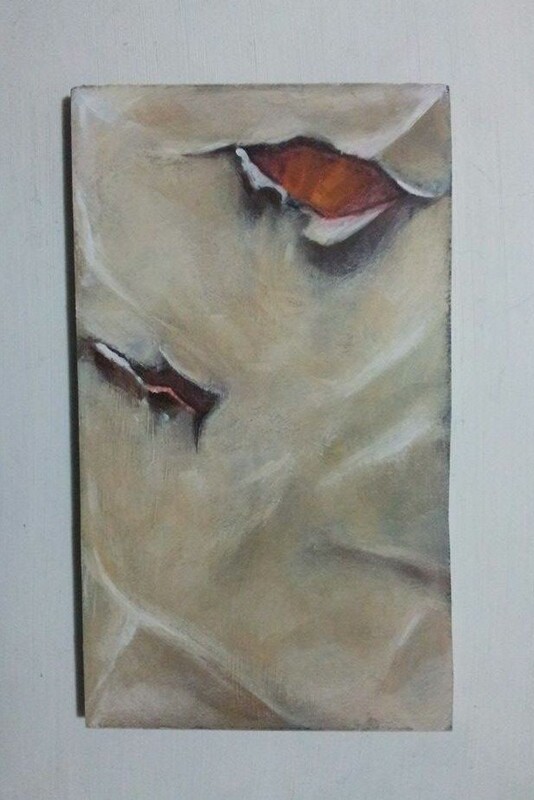 Dimensions on the painting are 15cm x 30cm (23cm x 38cm framed). 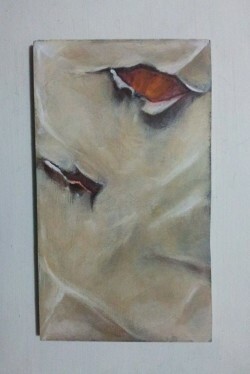 Beside the photo of the finished painting, here is an image of the painting in progress also. 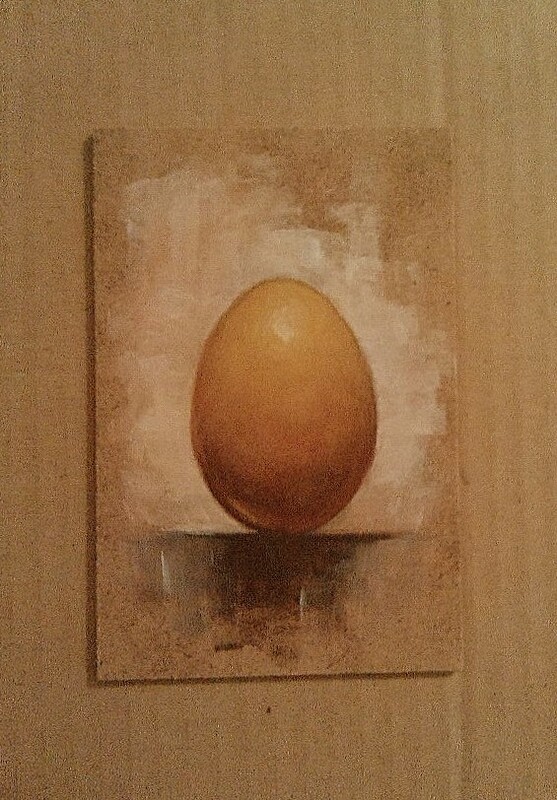 Burnt Umber, Ultramarine Blue, Alizarine Crimson, Yellow Ochre and Titanium White. 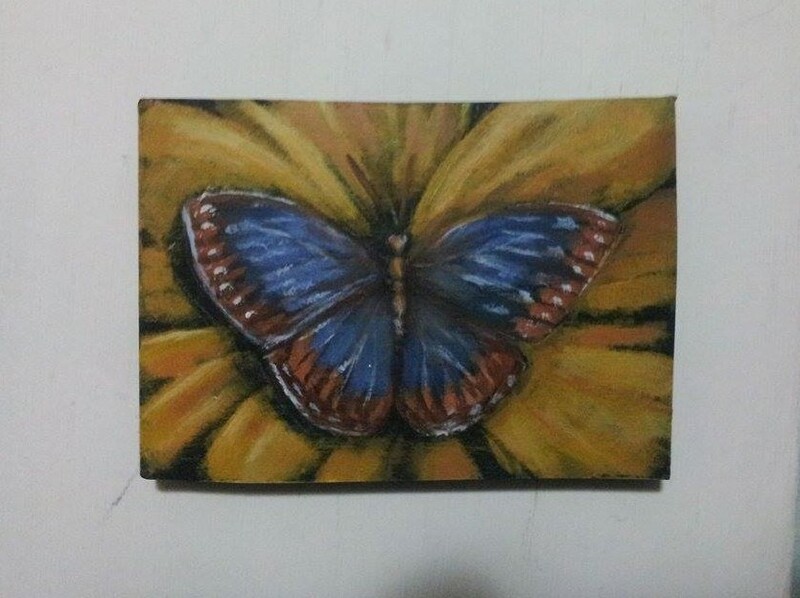 It is made on MDF board, size 12″ x 16″, covered with Sennelier Colored Gesso. 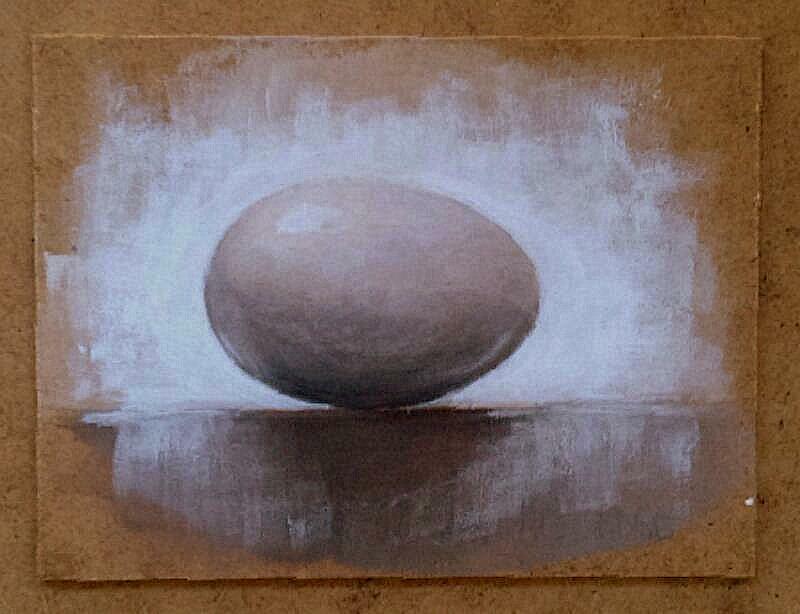 Two mini size paintings of still life with egg. These days I study shadows and light. Eggs seems to me perfect for that. I’ve realized that it would not be as easy as I thought. to create even when situation is not perfect. That makes art alive. I’ve learned to improvise, I’ve learned to push through hard days and to be consistent in what I do. To wrap it all up, it was wonderful experience. Thank you all for support and encouragement for this project. 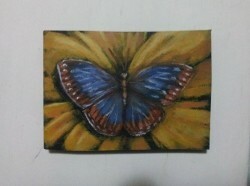 and there is no better symbol for transformation than butterfly. Question: Why did I choose raven for drawing? Answer No. 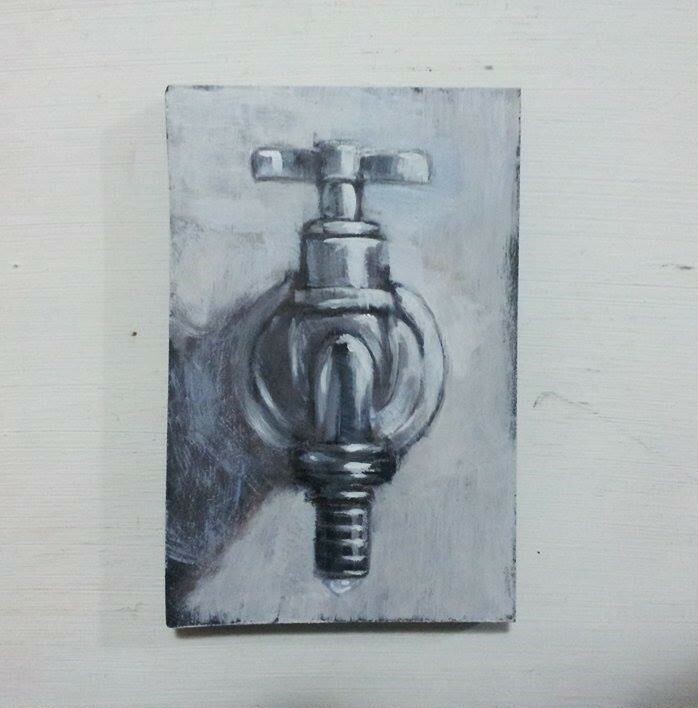 1: I was out whole day and really didn’t have time and equipment to do something else. Answer No. 2: Once I’ve read a Native American story about the white raven. so he decided to go and take the curse upon himself. 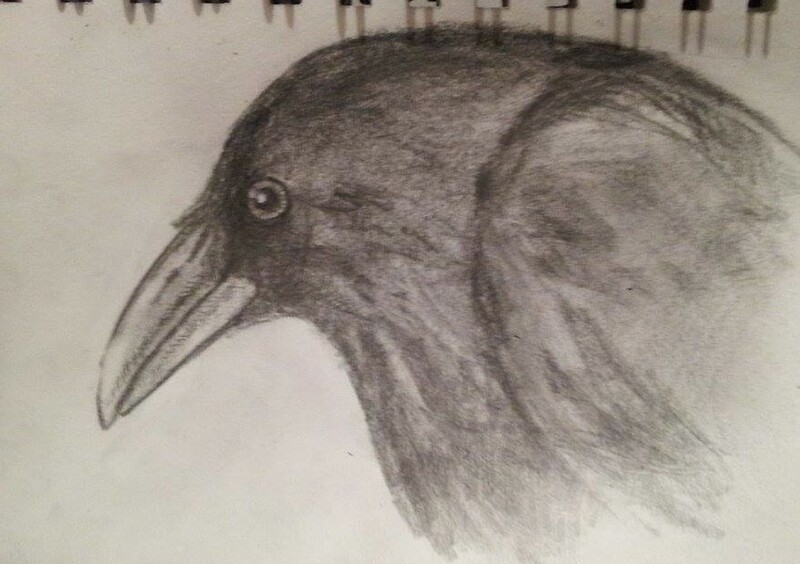 Eventually, that made the other animals free, but the raven become black from the curse. That is why ravens are black until this day. Here is the point: It is not sacrifice, if it doesn’t cost you anything. 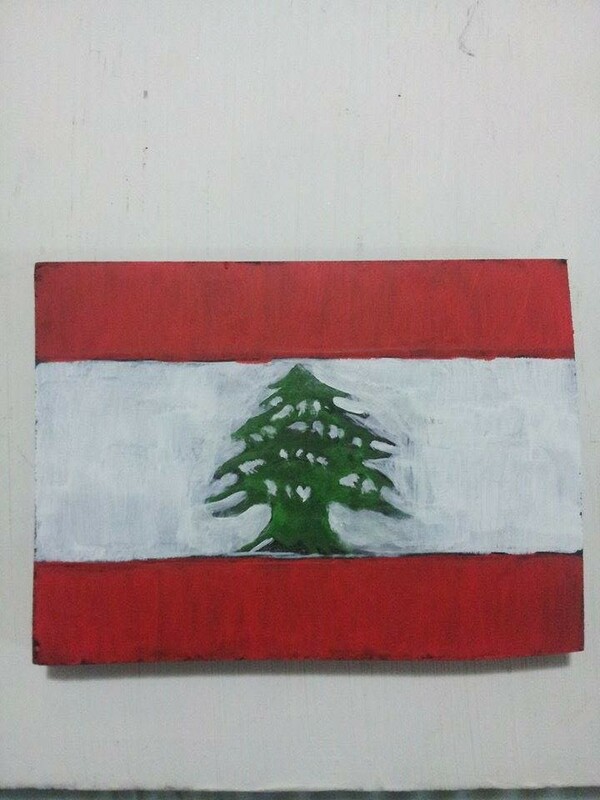 Lebanon is one of the countries would love to visit one day. I can’t explain why, but I have a huge desire to go there. 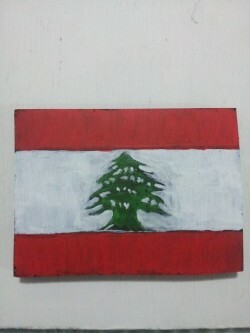 This small painting is tribute to Lebanon flag. It represents immortality, tolerance, strength and prosperity.